Founded in 1750, The Jockey Club North West is the largest commercial group in Britain’s second-biggest spectator sport, operating 15 racecourses nationwide. The Jockey Club specialises in staging thrilling events and sporting occasions including The Randox Health Grand National, The Festival presented by Magners and The Investec Derby. 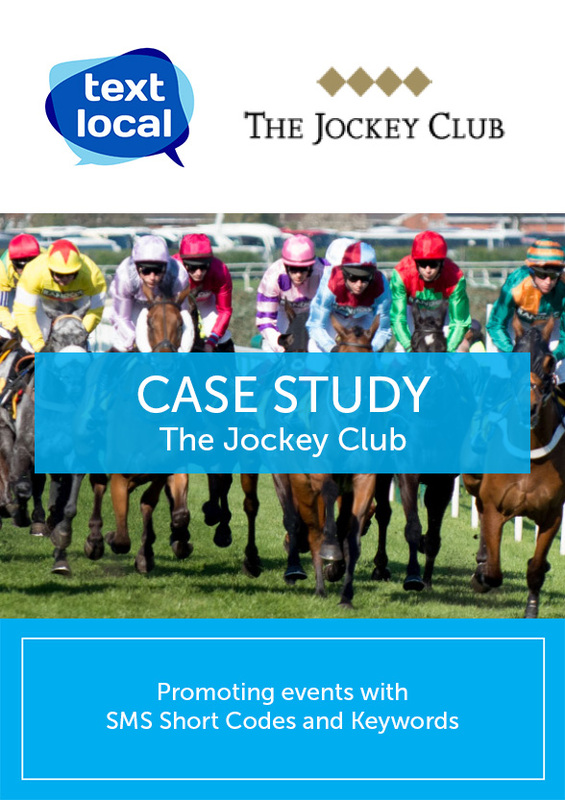 The Jockey Club North West wanted to provide their customers with an easier and direct way of contacting them. The team were using a lot of print, radio campaigns and outdoor advertising so the additional channel would need to support and enhance their existing activity. By adding an SMS Short Code and Keyword to their existing marketing activity, it was far easier for customers to remember and therefore get in touch with the team. The addition of SMS helped to increase awareness of parties and meant customers could easily register their interest about upcoming events. The Jockey Club North West now use SMS to support their larger campaigns, promoting events like The Randox Health Grand National and Christmas Parties at Haydock Park, both of which have proved successful, generating a number of enquiries and bookings.